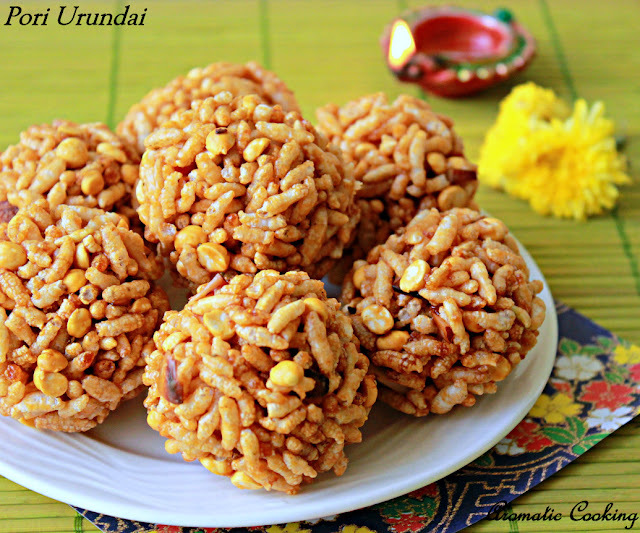 We celebrate Karthikai Deepam for three days and one of the festival dishes that we prepare during these days is this Pori Urundai/Puffed Rice Balls. This is a healthy snack of the olden days when all the fancy chocolates were not widely available and made with aval pori (puffed rice flakes) and vellam (jaggery). Everyone has a version, this is the way my mother makes it..
Leave the coconut pieces to dry ( keep it under a fan) for about 1 to 2 hours. Then toast this till the edges turn light brown. Take the aval pori (puffed rice flakes) , add the roasted chana dal, toasted coconut slices and the cardamom powder, mix everything together. 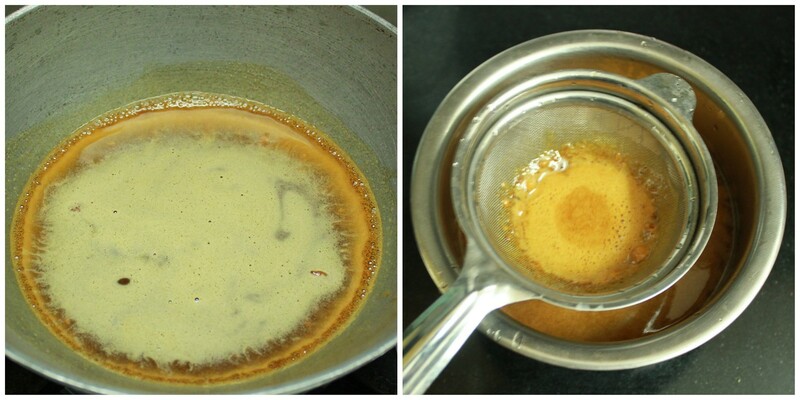 Heat the jaggery along with 1/2 cup water, once it melts, remove and strain it to remove any impurities found in it. Then put it back on the stove and keep stirring till it reaches thick syrup ( like maple syrup) consistency. At this stage, take a small spoon of it and drop it into a bowl of water, if it dissolves, then keep stirring the jaggery mixture. When you drop the jaggery in the water if it settles like a solid mass in the bottom and you are able to form a ball with it, switch of the stove. Now pour this syrup on the puffed rice mixture and immediately mix it. Once it cools down slightly, shape it into balls. 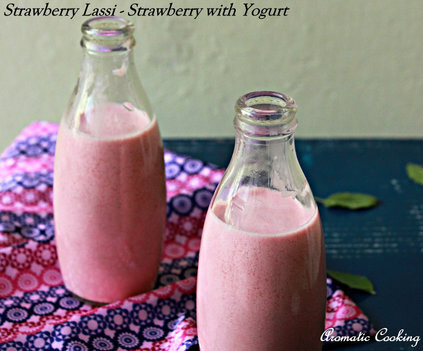 Leave it to cool completely and store it, stays good for at least a week. Drying and toasting the coconut pieces prevents it from spoiling. Be careful with the syrup consistency, if it's watery, then the balls cannot be formed and if it is too thick, then it'll solidify immediately after you pour it over the puffed rice flakes. I got 28 balls for the amount used. 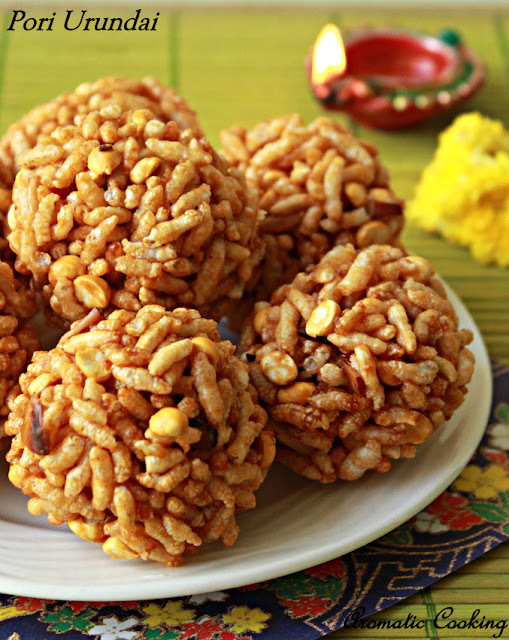 If aval pori is not available try making it with the regular puffed rice. new version to me.. looks very cute dear.. 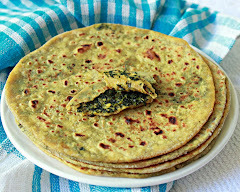 Perfectly made pori urandai.. Love it. wow hema.. the urundai have been shaped perfectly..though i am not a fan of this they look tempting! Came out perfect. 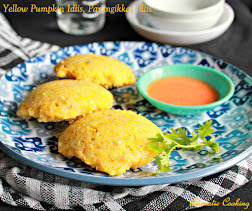 Nice snack with coconut and dal in it. 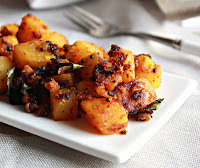 Prefect pori urundai,feel like munching some. lovely!! 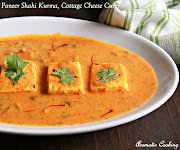 !nice addition of coconut and chana daall..bookmarked! !